Here’s how we put together our exclusive list of the World’s Best Business Schools. The ranking is based on a survey of more than 1,000 Business Insider readers in February and March 2010. 1. 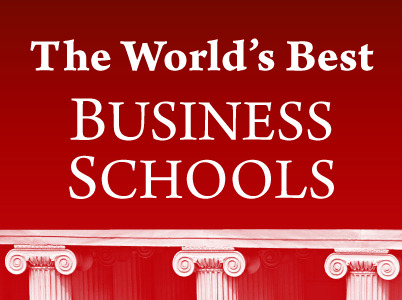 What are the 10 best business schools in the world? 2. Provide a 1 (worst) to 5 (best) ranking of 57 top programs on how much you think attending the school helps an executive’s future career. Our ranking was determined by the first question — how many people selected the school as one of the 10 best in the world. We also had several questions to get a sense of who took the survey. Nearly three-quarters of respondents (71.7%) said they had an MBA; 8.6% said they had a partial business degree. 18.2% said they had hired 51 or more.